It is with great sadness that we report the passing of American judo great, Y. Yonezuka-sensei, after a period of illness. Yoshisada Yonezuka Founded Cranford Judo and Karate Center, Olympic coach – Yoshisada Yonezuka, 77, of Cranford, N.J., passed away Saturday, Oct. 18, 2014, at Hackensack University Medical Center. Friends are invited to visit from 3 to 7 p.m. on Tuesday at the Dooley Funeral Home, 218 North Ave. West in Cranford, N.J.
Born in Japan, Mr. Yonezuka lived in the United Sates since 1960. A prominent member of the martial arts community, he founded the Cranford Judo and Karate Center 50 years ago. 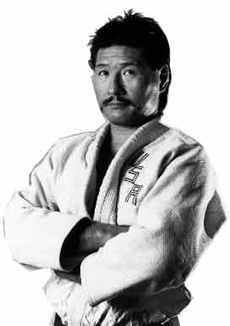 In 1988, and again in 1992, Mr. Yonezuka was the head coach of the U.S. Olympic Judo Team. Click here for a list of some of his well-known students. He was a graduate of Nihon University, and had been an officer in many Judo organizations, including serving as the President of the USJF. Surviving are a son, Nicolas Yonezuka (Denise); a daughter, Natacha Yonezuka-Gullo (Geoffrey); four beloved grandchildren, Sophia, Nicolas, Jack, and Kenji; two sisters, Teruko and Nabuko; two brothers, Yoshi and Masato; and his former wife, Anastasia Yonezuka. In lieu of flowers, donations may be made to the Yoshisada Yonezuka Memorial Fund, 107 South Ave., Cranford, N.J. 07016. – Click here for more information. This entry was posted on October 20, 2014 at 9:26 pm and is filed under Judo News. You can follow any responses to this entry through the RSS 2.0 feed. You can leave a response, or trackback from your own site.